It’s beginning to feel a lot like winter in the northeast, which for many of us means holiday travel. Whether you plan to head out west on a ski vacation or are destined for the tropical sands of the Caribbean, packing proper skin and hair care is essential! Whether you are hitting the slopes or preparing to worship the sun, packing a sunscreen that will protect your skin from the elements is a must. Even if you find yourself in cold temperatures, if the sun is out, sunscreen is in order. Sun tends to accelerate the skin’s aging process so for face, I love Institut Esthederm Bronz Repair Sunscreen For Face SPF 15. This French cult favorite is high tech, anti-aging sun care that enables you to enjoy the benefits of the sun without experiencing its harmful effects. There’s real science behind this line of bio-cosmetics that takes a completely different approach to sun care. It works with aging skin’s biology and the sun’s properties, instead of against these factors, enabling your skin to protect itself from the elements. Institut Esthederm’s sun care products are bar none — the best you can find on the market. And because of active ingredients like beeswax and rice bran oil that moisturize and nourish skin, containing anti-free radical properties, Bronz Repair can be used all day as your daily anti-aging moisturizer while on vacation. For stronger protection or if you desire a sunscreen that has a hint of tint, try B. Kamins Laboratories Sun Defense SPF 30 for face, neck and décolleté. It not only protects you from the harmful rays of the sun, but also guards against premature wrinkles that can result from sun exposure. Institut Esthederm Sun Care Oil Extreme Sun is the best sun care for body you can find and also doubles as a luxurious body care oil all year long. It ensures safe prolonged sun exposure in severe conditions, including the intense tropical sun. It allows a deep, intense natural tan to develop without any harmful UV damage. Sun Care Oil Extreme is formulated with UV in-Cellium Technology to protect the skin from the inside by strengthening its self-defense systems. This hi-tech sunscreen is also extremely moisturizing, and can be used to protect your hair from the harmful rays of the sun as well, making it a multi-tasking product ideal for traveling light. If you are going on a warm weather vacation, Philip Kingsley Swimcap is a must. Fact: Your hair and scalp can get burnt in the sun. This leave-in hair treatment contains SPF to protect your crown from getting scorched and moisturizes your hair in the process. It even provides for a convenient way to style your hair while on the beach or by the pool that keeps it off your face. I apply it in sections and then braid my hair. For short hair just apply and slick hair back. Trés chick! When you wash it out at the end of the day, your hair will feel silky, smooth and nourished. Whether you finished your day a little crispier for the wear or not, remember to treat your skin to some extra added tender loving care. For face, I love Cosmetics 27 Huile 27. It’s a 100% natural, multi-tasking, anti-aging face oil that moisturizes, softens and regenerates skin. It actually rebalances skin function and restructures epidermal tissue, which can get knocked off kilter after a day in the sun. You can mix it into your favorite moisturizer, to give it an extra boost of hydration and even apply it to lips and hair for some extra added nourishment. For body, Mio Skincare The A Cream Firming Active Body Cream not only restores elasticity and firmness to the skin but contains ingredients like aloe vera juice and avocado oil which makes it a superb after sun moisturizing body treatment. Whether you’ll be seeing sand or snow, be sure to pack B. Kamins Laboratories SPF 20 Lip Balm as well. In extreme cold, wind or sun, lips are usually the first place to suffer. Just a few minutes of exposure to extreme weather can lead to days of chapped, cracked lips. Reapply your lip balm frequently to keep your lips comfortable and protected all day and night. Looking for a quick beach getaway that feels like a tropical vacation? My husband and I flew down to Boca Raton recently to attend the wedding of close friends. I have lived in New York City for 38 years and have never been to Boca Raton. What more, I had not visited Florida in at least 8 years, so I honestly did not know what to expect. I have to say, the bride and groom chose a beautiful spot. The wedding itself took place at The Boca Beach Club, which is part of the Boca Raton Resort & Club. 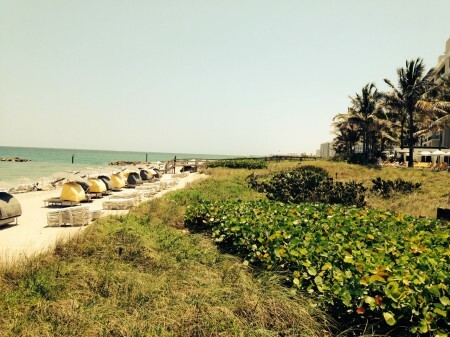 It is a unique venue and is broken up into two locations, the beach club, on the beach and the resort located on the Intercoastal. I was actually able to relax somewhat (which is a rare occurrence for an entrepreneur). For those that long to be on the water, The Beach Club is for you. There is a beautiful white sand beach overlooking the Atlantic Ocean’s clear blue water. It almost felt like being in the Caribbean. The beach goes on for miles, so if you like taking long walks on the beach, this is perfect for you. I recommend getting it in early in the morning before it gets hot. Note to self – make sure to take sunscreen (You can’t go wrong with Institut Esthederm, Sun Bum, or Neova) and after sun care. 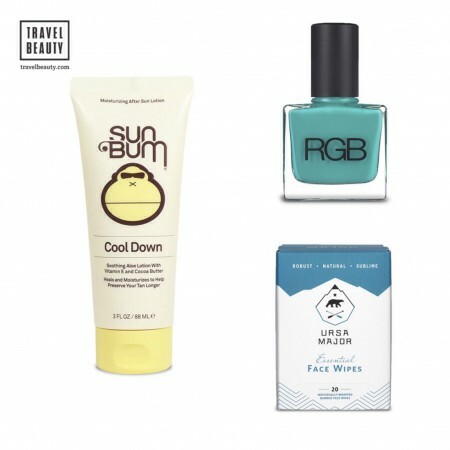 (I love Cosmetics 27 Huile 27 for face and decollete – very soothing and moisturizing and Sun Bum Cool Down Hydrating After Sun Lotion for body). There are two pools at the club with breathtaking views of the ocean. Pool and beach side dining is also available, as well as a state-of-the-art fitness center. If you prefer more of an elegant, old-world experience, the Boca Raton Resort is the place for you. Situated on the Intercoastal, it is just steps away from the award winning full-service Waldorf Astoria Spa, two 18 hole championship golf courses, sparkling swimming pools, and a world-class tennis facility. The grounds are truly majestic; I was floored by the entire setting. The newly renovated Cloister building was built in 1926 and features Spanish-Mediterranean architecture. The rehearsal dinner, the night before the wedding, took place in the courtyard along side the spa. The setting looked like a royal courtyard in a Moroccan palace. I could not get over the grounds that surround the Cloister building. It is an exotic arboretum. The walkway on the exterior of the hotel is adorned by 2 rows of majestic Royal Palm Trees. There are also many old unusual trees that look like they are not of this world. There is a Kapok Tree, or Ceiba Pentandra, planted 85 years ago, which is indigenous to tropical rainforests. It can grow to a height of 150 feet with roots that are 12 feet tall and sprout out with large horney spines. Next, we found a Banyan Tree, or Ficus Benghalensis, from India. It has a large tree top and tall aerial roots which become secondary roots. I had never seen anything like either of these and there are a handful scattered throughout the property. I am not typically a junk food eater. I think the sea air probably got the best of me, but as we were exploring the huge corridors of the resort we happened upon Serendipity. I had no idea that there was more than one! The only one I am acquainted with is the original on East 60th Street in New York City, that I have been going to since I was 6. Well I marched right it and I ordered a 9 pound brownie sundae with coffee ice cream, hot fudge and whipped cream. In case you were wondering what a 9 pound sundae looked like, this thing was ginormous. I didn’t think I’d ever be able to zip my skinny jeans again! Naturally, I went back the following day. This Serendipity was a throwback to 50s diners, with orange banquets, white and pink French bistro chairs and a proper sip and soda bar. Dinner was at Morimoto ala acclaimed sushi master, Masaharu Morimoto. (its literally steps from Serendipity – just in case you are interested) Morimoto is contained within a narrow sleek sushi bar. The food is dynamite; don’t forget to have a little sake…but just a little! You’ll need to be up bright and early for your walk on the beach. Ah, the beach…it can be the best of times, but if you get a nasty burn, it can be the worst of times as well. Travel Beauty has created the ultimate collection of scalp-to-sole sun care lotions and products so that there’s nothing but blue skies on your next beach day. Our travel size beach kit contains top-notch sun protection products for your face, lips, body and hair, a super-cleansing scalp brush to de-sand/surf/sunscreen/tangle your hair at the end of the day and skin-cooling lotion for après-sun application. Want more? Shop our entire sun care selection now. It soothes, cools and restores your skin’s natural moisture. Helps prevent skin peeling, thus allowing you to retain your tan longer. The light, non-greasy formula feels nice on your sunned skin and is also alcohol-free. The sun care lotions you apply to your body aren’t necessarily the ones you’ll want to apply to your face and lips. Due to the petite nature of the sun care products in our travel kits, you can diversify your protection without bulking up your beach bag. Institut Esthederm Bronz Repair Age Control Face Cream SPF 20 is formulated with rice bran oil and active beeswax, both highly nourishing. The result is a sun care lotion that moisturizes and protects your skin from aging, even as it helps you to develop and prolong your tan. Institut Esthederm Adaptasun Sea and Tropics Body Lotion SPF 20 delivers sun protection even in the case of prolonged sun exposure in tropical environments. Its anti-dehydration complex will keep your skin supple, soft and comfortable while you’re out tanning, and keep it that way for hours after. Kiss chapped lips goodbye! B. Kamins Laboratories Lip Balm SPF 20 will leave you smiling. Why? In addition to helping you avoid sun-related lip sores, this lip treatment creates the perfect palette for applying lipstick and reduces feathering by diminishing and smoothing the appearance of wrinkles and fine lines around the lips. Protects against the damaging effects that the sun can cause – say goodbye to sun-related hair breakage and fading. It’s called “Swimcap” for good reason! When you don this cap, you’ll combat the damaging, drying effects that can accompany excursions in both chlorinated pool water and salty seawater. After your day in the sun, this hair protection product washes out completely. No greasy residue or added weight! Once you’re off the sand and out of the sun, the hair protection continues! Relax and brush off any lingering entanglements with the help of the S-HEART-S Scalp Brush Mini. This sleek scalp massaging brush is equipped with 376 gentle nylon bristles. Every one of these bristles is dedicated to making your scalp feel stimulated and removing dirt, sun care lotions, seaweed and anything else that may have made its way into your mane and onto your scalp. Work it into your scalp and your post-beach clean up routine! Our Beauty Kit for the Beach is Just the Beginning! For a closer look at all of our sun and sand companions, be sure to visit the sun care product section of our site. You’ll find all the latest and greatest sun care products, many of which we offer in a travel size. Beauty products 3 oz and under can board the plane with you, so you can keep your disposition sunny and your skin protected anywhere in the world.